For those of you just stepping into the world of Cacti and Succulent growing, there are a few points which are important to remember. 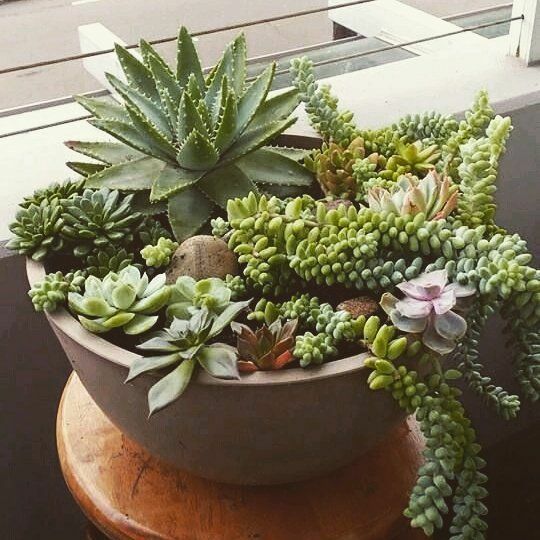 Succulents are plants with unusually thick and fleshy bodies, leaves and stems which are used to store water. 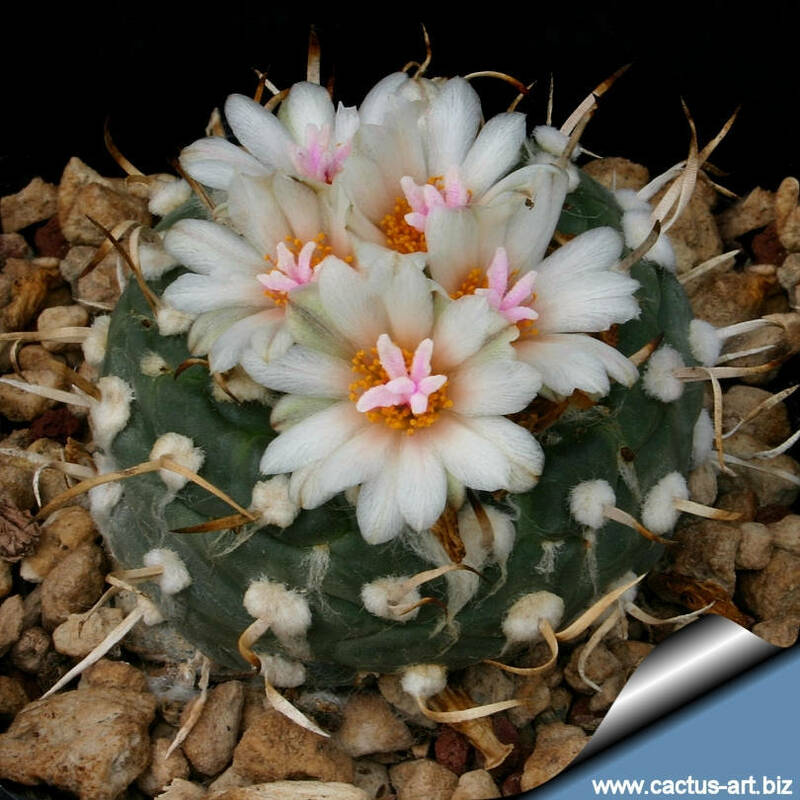 Many people will put the Cacti and Succulent plant groups under one heading, thinking all of these plants require the same care and living conditions, but this is not actually true. 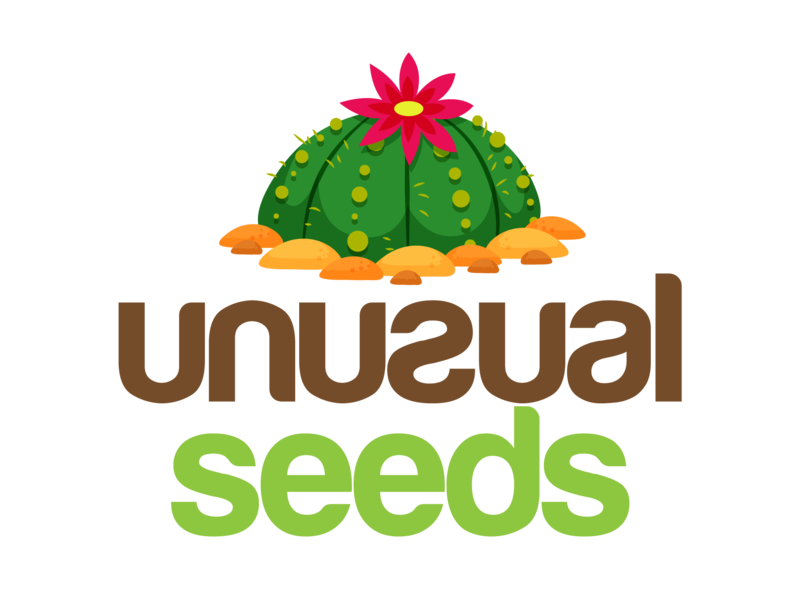 When these plants were first classified by the great Carl Linnaeus back in 1753, he too placed all of the species of Cactus in one genus. A year later, a Scottish botanist name Philip Miller reversed the error and he himself divided the Cacti and Succulents into different genera. So, what defines a Cactus? A cactus is a plant within the Cactaceae family which has succulent stems and branches, with scales or spines instead of leaves. All cacti have “aeroles” – these are specialised short shoots which produce spines, normal shoots and flowers. 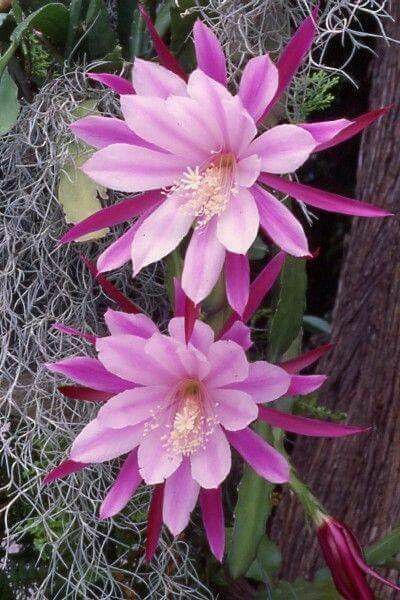 Cacti typically have solitary, but very showy flowers. Most cacti, like other succulent plants, go through a special process called Crassulacean Acid Metabolism, (or CAM in short), as a part of photosynthesis. 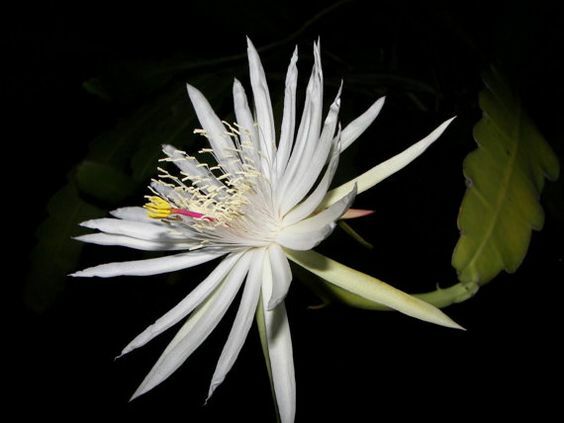 Unlike normal plants, transpiration takes place at night instead of in the daytime. This is another great example of plant adaptation, and helps to prevent excess water losses in the hot sun. To understand the care and nutritional requirements of any plant, we first need to discover where it is from and its natural habitat. These wonderfully diverse plant species inhabit many regions, from coastal plains and arid deserts to high, cold mountain areas and the hot, humid jungles of the Tropics. Cacti are generally split into two groups, these being Desert cacti and Forest cacti. Both of these plant groups have the same abilities to store water within their leaves, stems and sometimes roots. This modification enables the plants to survive in very hot, dry or steamy, humid environments where a normal plant may die. The dramatic differences of these environments have caused these plants to each adapt to their distinctive living conditions. In turn, this allows them to make the most of their habitat and thrive in such conditions. Let’s take an in-depth look at each plant group and discover their native environments. We’ll look at how they have adapted to their native conditions and how to replicate these growing conditions when back home. 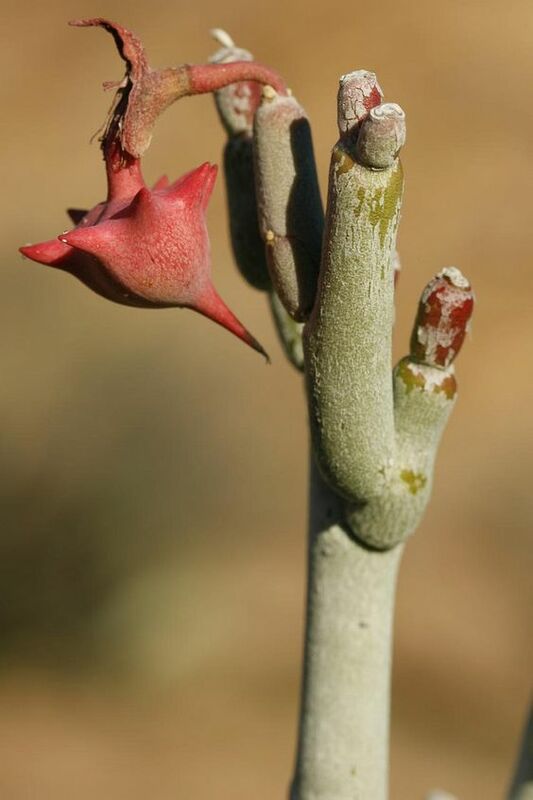 As this name suggests, this group of succulent plants originate from areas of hot, dry, arid conditions. This group are native to the Americas and found growing from Southern Canada right down to the furthest tip of Patagonia. 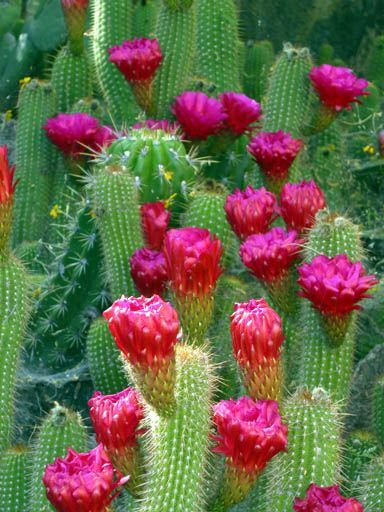 Desert cacti thrive in habitats of semi-deserts, dry shrubland, mountain sides and grasslands. Such areas frequently lose more moisture through evaporation, than they receive through rain per year. This is a truly shocking statistic which shows just how amazing plant adaptation is, especially when you consider that some of these species can live for hundreds of years. Hail Mother Nature! How have these Desert cacti adapted to their environment? Well, many of these species have a spreading fibrous root system which enables them to quickly feed as soon as moisture hits the ground pretty much. Some do have a tap-root system which they use to store water – in these cases the root will literally swell up. Most cacti species have lost their actual leaves, and have spines. These spines are actually modified leaf structures which help to prevent water loss of the plant. The spines work magically, reducing air flow close to the plant, and providing a little necessary shade. The spines also act as a collecting point for mist and dew, which once condensed, will feed the plant essential moisture. 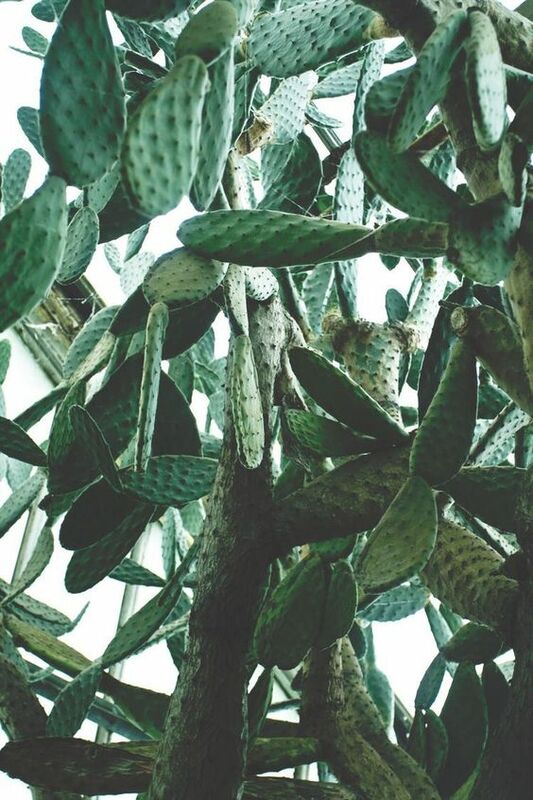 In fact, they have many uses as they are the ideal deterrent for pests, predators and grazing animals who could easily steal the water store inside the cacti. 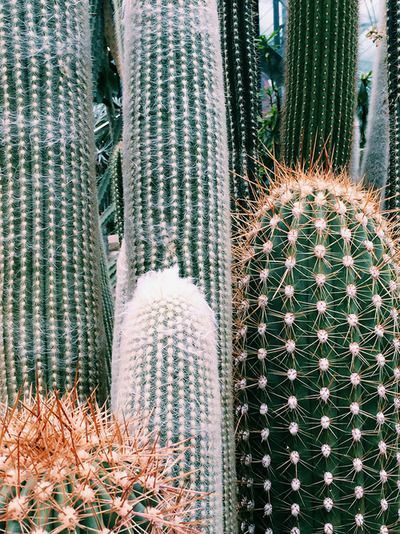 The body of the cacti varies in shape and size, depending on which species you are looking at, and believe me, there are many. Some are spherical, some tree-like and some columnar. Others are cushion-like and rather compact. Regardless of their shape though, they are designed to have the highest possible volume for water storage and the lowest possible surface area with a reduced number of stomata (to prevent excess water loss through transpiration), and an impervious outer skin. 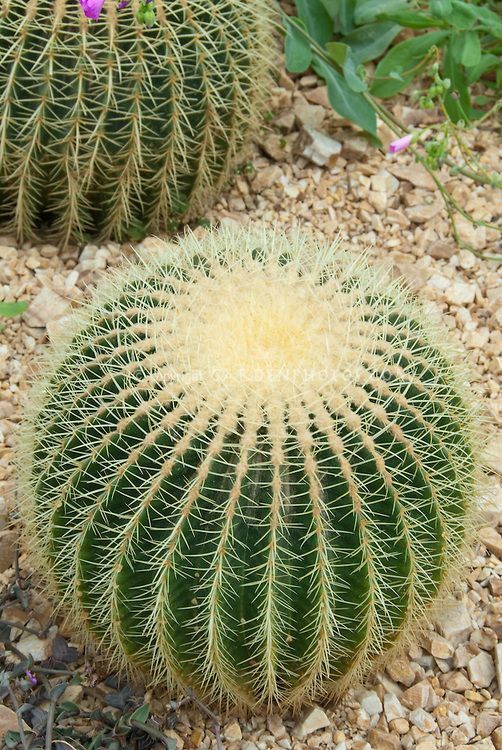 The body of the cacti swells with water and looks quite like a cushion, covered in clusters of spines – this is called the areole and it’s this part of the Cacti that produces side shoots and the most magnificent and diverse array of flower blooms which is unbeaten throughout the entire plant kingdom. Most of the Cacti in the vast Opuntia genus also fall into this category – you probably recognise these as the Prickly Pear cacti. 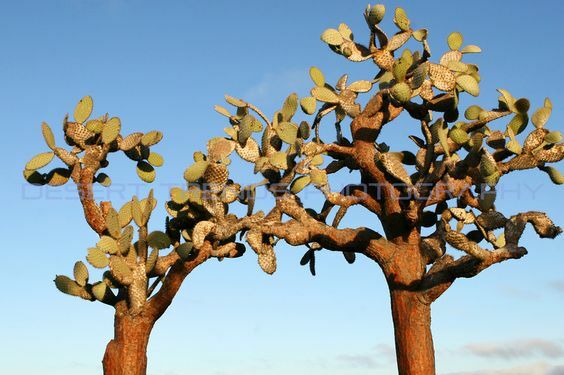 As you can see form the picture above, these tree-like cacti still have a wide range of forms – none of them quite the same. These are the erect, cylindrical-shaped stems – sometimes branched, sometimes not. 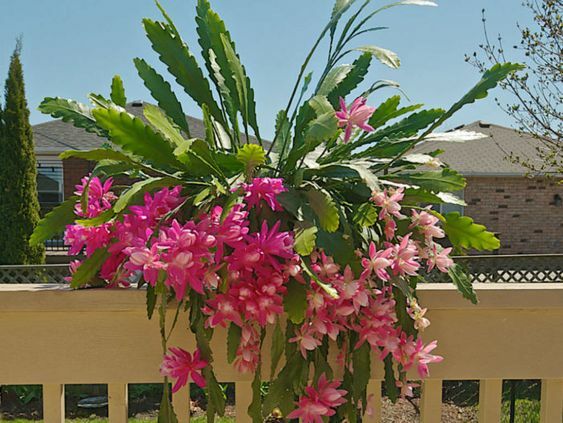 A shorter and more compact cacti than the columnar varieties. Many are found growing alone, others form clusters creating larger mounds of plants which all share a single root. Now that we have covered some of the species of Desert Cacti, we will take a look at the native soils in which they grow. We already know that these cacti have a limited amount of water resources and dry sandy soils with very little amounts of loam. 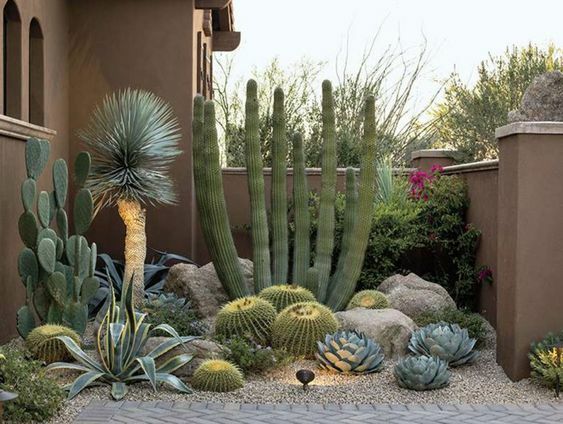 The key is to ensure that your planting soil for this group of cacti is very free-draining, emulating the native medium. I would recommend using a substrate which contains mostly perlite, vermiculite, gravel and course sand held together will a small amount of loam base, but not peat. Peat will tend to dry out too much and is rather water-repellant when very dry. Desert cacti are hardy little soils and will survive in temperatures down to as low as 41 degrees F, (5 degrees C), throughout the winter time when dormant. 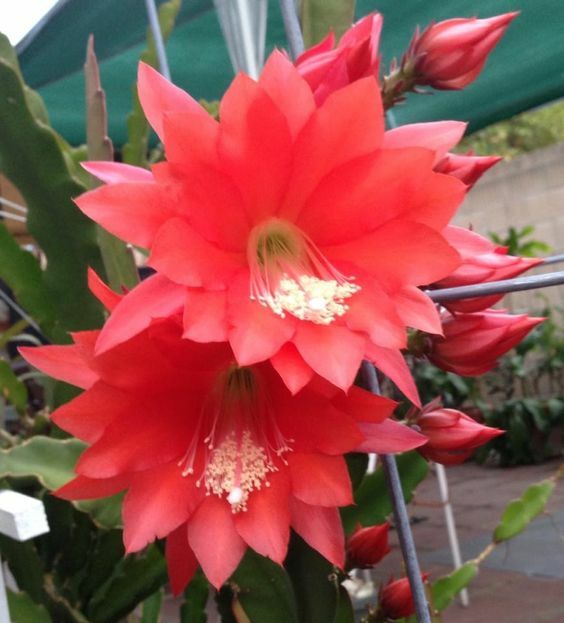 Ideally a temperature of above 60 degrees F, (16 degrees C) will keep your cacti happy. Now, lets discover a little more about the group of Forest cacti, their living conditions and how they have adapted to cope in these warm and humid environments. Forest Cacti grow in completely different environmental conditions than cacti of the Desert species. These mostly grow in shaded forests as epiphytes. Epiphytes are plants which grow on other plants but are not parasitic, in other words, they do not cause the host plant any harm and merely use them as a growing structure. Other forms are lithophytic and grow on rocks in lower ground. Forest Cacti thrive in conditions of a more sub-tropical nature, such as the humid tropical rainforests located in Southern, central and Northern America, including the Caribbean Islands. These temperate areas have year-round warmth. How have these Forest Cacti adapted to their environment? Many species can be seen growing in the branch forks of trees and hanging from the uppermost branches of trees in the tall forest canopy. These cacti species cling to branches, using their roots to anchor themselves on the host plant. This clever trick enables these cacti to compete with taller plants in the higher canopy for light. Their water is also received from their host plant, often as run-off rainfall and the nutrients which sustains them are gathered through decomposed leaves and organic matter collected in the forks of trees, in to which they attach their roots. 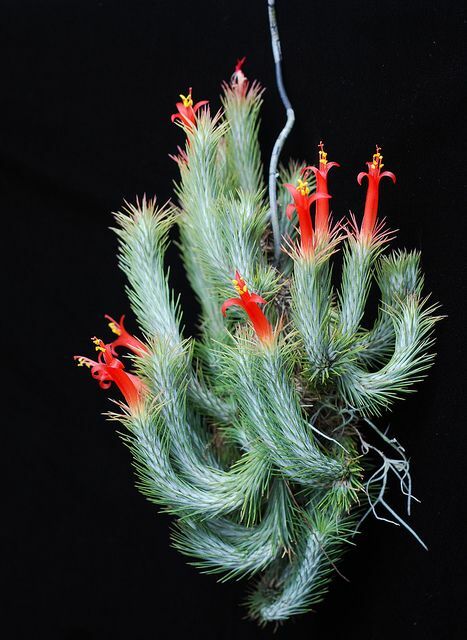 The growth habit of the forest living cacti is exactly like that of the awesome Bromeliads and the spectacular Orchid species – these too adorn the forest canopy, creating wonderful tropical flower displays throughout the seasons. Tropical rainforest cacti also have larger, more waxy leaves than those species in the Desert group. The increased size of the leaves helps them to attract pollinators and allows them to reach optimum sunlight levels for energy, whilst competing against many other sky-high reaching plants. The waxiness of the leaves allows water to drain off them easily, which in turn, aids plant respiration. Plant species in the Forest Cacti group have different needs than those growing in the desert, and for understandable reasons. The forest habitat is a moist environment far richer in nutrients – when you think of the forest floor covered in fallen leaves, microscopic insects and other organic matter mediums, this is no surprise. When potting up forest cacti, it makes sense that we use a substrate mix containing all of these elements which will ensure good, balanced and healthy plant growth, essential for this specified plant group. I would recommend using a light, sandy, free-draining potting mix with a small amount of well-rotted organic matter added to it, such as leafmold, or well-rotted garden compost. Not too much though, as we still need to keep the texture light and crumbly, allowing excess water to drain away. The native environmental conditions in which these plants live are areas of high humidity with temperatures above 50 degrees F, (10 degrees C). To keep your Forest cacti happy, it is essential to replicate this humidity in your home. This can be achieved quite easily by placing your plants on a solid tray filled with water and pebbles. So long as your plant is sat on the pebbles, away from the water level, all will be well. This range of Cacti are not keen on being placed near radiators or other heat sources – they dislike the dry heat, much preferring a cooler, more moist setting which is just perfect to help encourage good bud development. I have only listed a few of the many species within the Cacti family, but there are a vast amount to see. 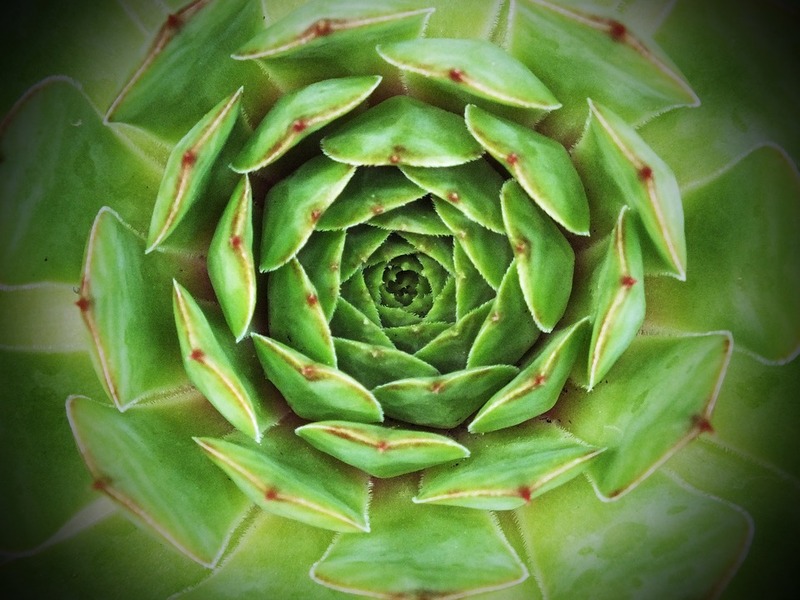 Why not take a look for yourself and find your own exotic succulents to grow at home?